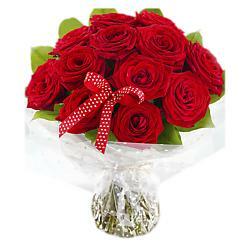 Red Roses; Beautiful and Romantic. 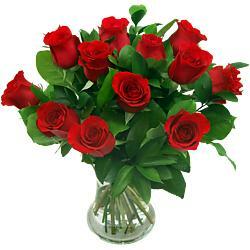 When only the highest quality Roses will do! 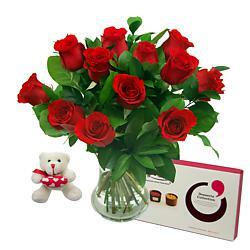 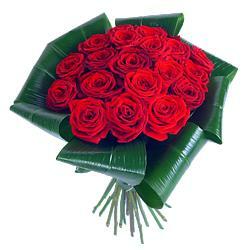 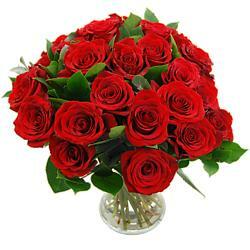 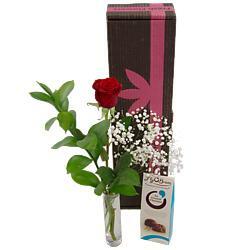 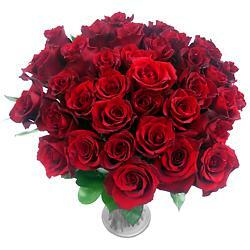 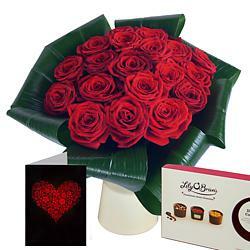 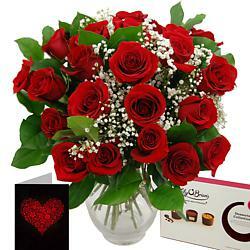 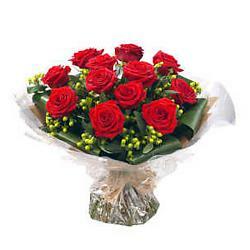 Express your sentiments in the most traditional of ways; with a bouquet of stunning top quality, highest grade roses. 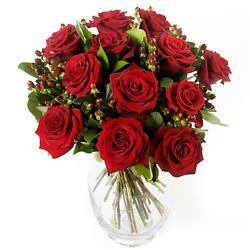 Have these Romantic Roses available for Flower Delivery throughout the UK to any address, 6 days a week. 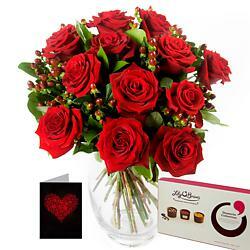 Why not add some scrumptious Lily O'Brien's Chocolates and choose a handwritten card, a chic glass vase or a cuddly teddy bear to enhance your order of roses - making it even more special. 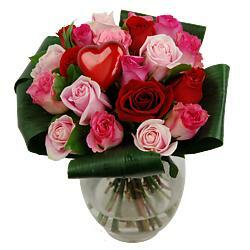 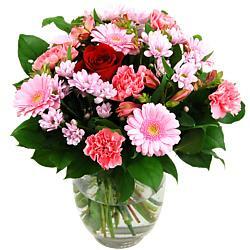 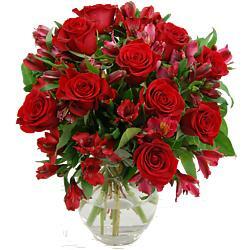 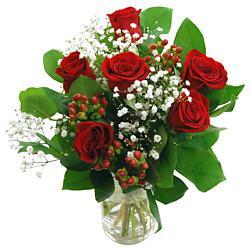 same day flower delivery, and in particular our same day delivery red roses and Rose and Freesia Fantasy. 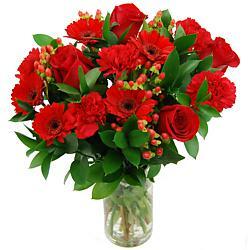 Guaranteed to announce affection and delight your recipient.